Revised from a few days ago, a painting which I call 'The Martyrdom Of Glenn Beck.' I made so many changes to the image I decided to pull the auction and relist it on Ebay as a completely new painting. 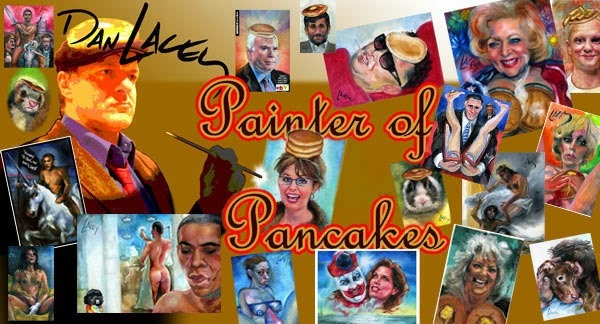 This painting features Glenn Beck autographing Jesus Christ's lioncloth at a Washington D.C. anti Obama Tea Party rally. This is the same Christ that appeared in my 'You Are Not Alone' Michael Jackson painting from last year. Glenn wears a crown of dripping teabags on his head beneath a fake halo. 'Cigar Guy' and a few additional personages appear in the background as well.